1990s Diplomat fountain pen from the Attache collection. Shiny metal cap and barrel with gold plated trim. 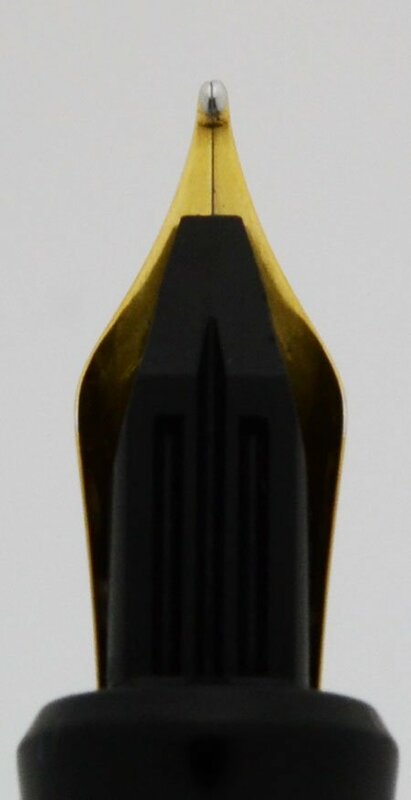 Medium steel nib. Superior condition. Manufacturer and Year Diplomat, Germany --1990s. Filling System Takes international cartridges and converters. A Diplomat converter is installed. 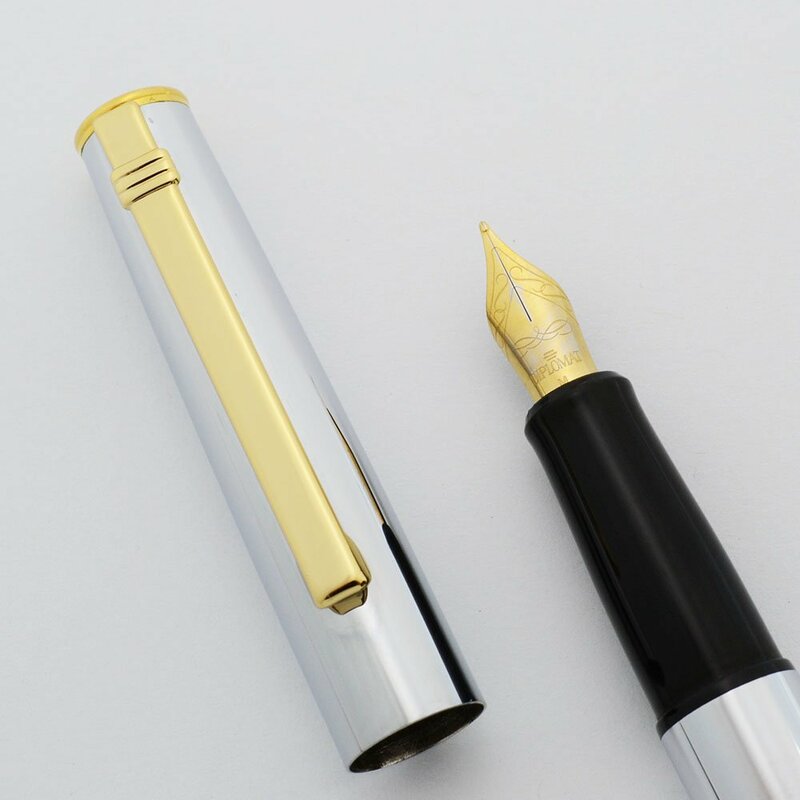 Color Shiny metal pen with a black band at the top of the barrel and gold plated trim. Nib Steel medium nib is smooth and is decorated with gold plating. The plating is thin. Condition Superior condition. There's some marks on the cap band but otherwise the pen looks really great. Low handwear. There is plating wear on the nib.